Ever had one of those days or weeks where unexpected stuff pops up and drains the life out of you? Like the game “whack a mole,” just as you knock out one issue another shoots up—WHACK!
. . . then another—WHACK, SLAM, SCREAM! I had one of those weeks not long ago. I had been looking forward to a business trip for months and had planned out the week and purposed to be totally present for each moment. What is vital to know is I am not an organized, calm traveler. I get anxious, always pack too much, and must make a notebook-sized list of things my son with disabilities needs for his caregiver. I was exhausted before leaving the house, yet determined to make the trip an excellent experience. Our plane landed and, before getting to the gate, my phone began to blow up with text messages. A few hours later, my calendar for the week wouldn’t sync so I had no idea what the correct times were for my meetings, the pharmacy got Jon’s medication refills all messed up, and some family issues surfaced. By week’s end, I was about to quit ministry all together and move to a treehouse in the middle of Alaska. But I hate the cold so Alaska was not a good option. Interestingly, the very last day of the trip I had planned to spend alone. As a caregiver, time alone usually looks like a quick four-minute shower. Having six hours to myself, on the beach with my journal and a few books, never happens. This was a slice of heaven on earth given all that happened during the week. With backpack, journal, and a few books in hand, I plopped my fussy fatigued self on the sand. There are no words for how wonderful that moment felt. The gentle tide ebbed and flowed, quieting my rushed, restless soul. I smiled as laughter of little kids building sand castles and digging up sand crabs brought back memories of beach days when my kids were young. I watched young couples walking slowly hand in hand, allowing time to pass without looking at the clock or staring at an electronic device. As the hours passed, my soul opened, thoughts slowed; all the unharnessed worries drifted away. I recalled several studies I have done on sheep and shepherds. Sheep are terribly difficult to take care of; they are restless, nervous, easily frightened, and unable to rest without the shepherd in sight. More than any other animal, Scripture uses sheep as a metaphor for people. Like sheep, most of us live in a state of unrest. We are externally distracted and internally fragmented. In all our habitual racing about, the Lord’s calming, sovereign voice is silenced. As a result, our minds become consumed with what we can’t control but try to, what we want to fix but don’t need to, and what we think is important but isn’t. In this life, we will never be free of challenges and distractions regardless of how well we plan. There will always be something vying for our attention; and, by the way, the enemy LOVES it when we choose to remain distracted. I want to remind you as I was reminded that day, we all have the same choice: to slow our pace and find rest in God’s abundant peace or to chase down every issue believing we are in charge. Yes, we are to be responsible, but we are also called to rest. When we choose rest, peace that surpasses all understanding floods our souls with God’s presence. Nothing on earth can give us the presence and comfort that comes only from heaven. How do we find rest in the midst of life? We choose it. Time does not control us; we control how we use our time. As a caregiver, this is one of the hardest things to sort through. The demands are endless and needs are consuming; if I don’t seek time with Jesus, I cannot fulfill the duties of the day. You can’t either . . . and it’s a daily choice. 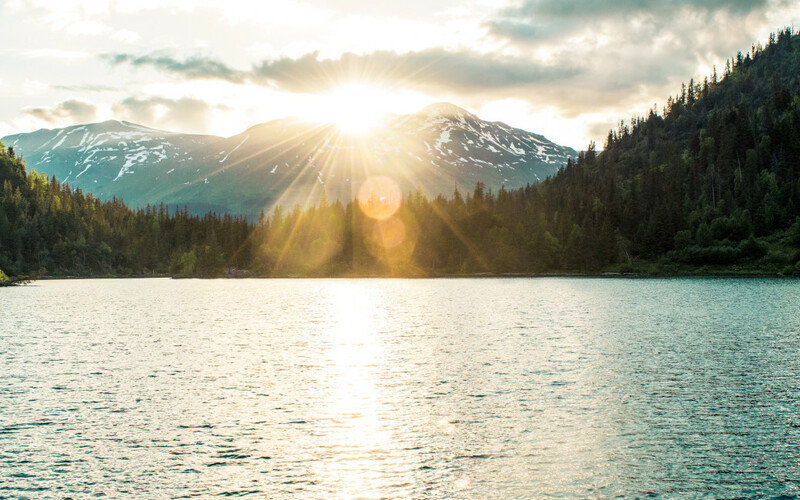 In July of 2019 Insight for Living Ministries is offering families time to rest and restore on a cruise to Alaska. I KNOW, there are a thousand reasons jumping into your head right now . . .
There’s no way I can afford that! I’m a caregiver, I can’t get away. Something always happens when I’m gone; it’s not worth it. I don’t deserve something that nice. 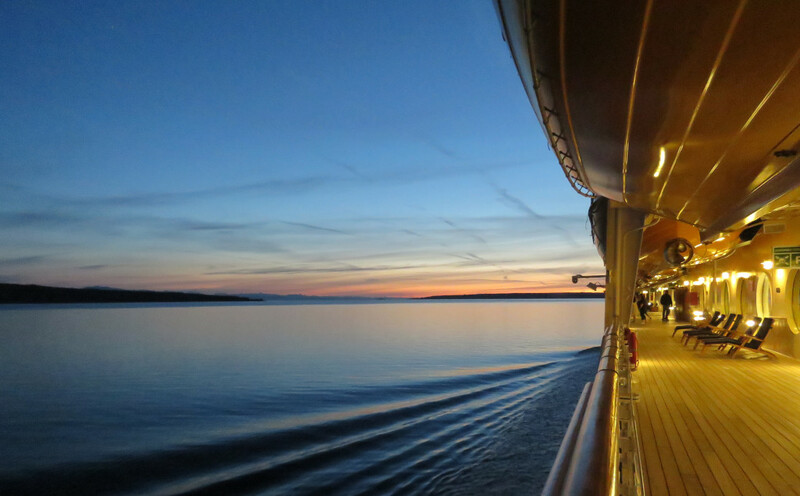 Understandably, there are countless reasons why you may believe a cruise isn’t for you. In light of the needs and demands you have on your plate every day, it may be something you cannot miss. There are numerous ways to raise money, ask for help with a loved one you care for, seek support from your church family or close friends; get creative in ways that can provide rest for your soul. I have journeyed to Alaska several times—not to find a tree house but to hear God’s voice. The majestic forests, cool breeze, soft sounds of gently cresting waves beg you to rest in all God has created. Will you pray over this opportunity? Instead of a quick “NO,” how about, “Lord, if you will . . .”; and I’ll pray the same. In fact, I want to pray for you. What challenges are you facing today? Have you slowed your pace to hear God’s voice? Let’s connect this week and perhaps we’ll meet up in Alaska. Want more? Subscribe at the bottom of this page to our Reframing Ministries weekly articles and monthly podcasts delivered right to your inbox full of help, hope, healing, and humor for people, just like you and I, walking through pain.